Are you a social media maven or more of a minimalist? In the 10 years since the very first iPhone launched, Apple has released 15 different models — and each has had its own personality. There’s the clean-and-simple original iPhone, the chatty iPhone 4s that brought us Siri and the iPhone 7 that broke with tradition and got rid of the headphone jack. 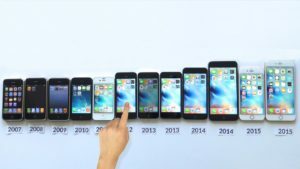 Ahead of the announcement, Time.com had some fun looking back at the iPhone models and what they’ve signified to us over the years. Take this Time.com quiz to to see which iPhone best matches your personality, then share your results with us via social media, and stay tuned to Techish for updates from the Apple event today!